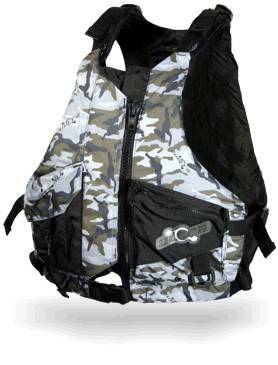 Ultra Make a Great PFD that we have been using. Designed for paddling, it sits very high around the chest. Harnesses do not get in the way. Be careful of Mystic, and other "impact vests", they are not PFD rated. If you would like more info on were to get one , PM us. Ultra are keen to get into kiteboarding and will price there product well to do so. If you are looking at getting on try look for a zip up with extra long arm holes (to avoid chaffing under the arms in summer. Sailing life jackets are made to be above the harness hook and still comfortable. Been using one for years. There are a few different brands around.Available from binks marine around $100. does anyone know of a very slip impact/vest that is also rated, maybe a pull over style with no zips or straps, that way a normal harness should be able to fit over the top. I'm thinking something like the dakine vests but rated. Surely there is a wakeboarding one? The pullover (slimline) ones are not rated but they look pretty cool. We teach with the LF wakebord PFD's and have not had a problem with them.